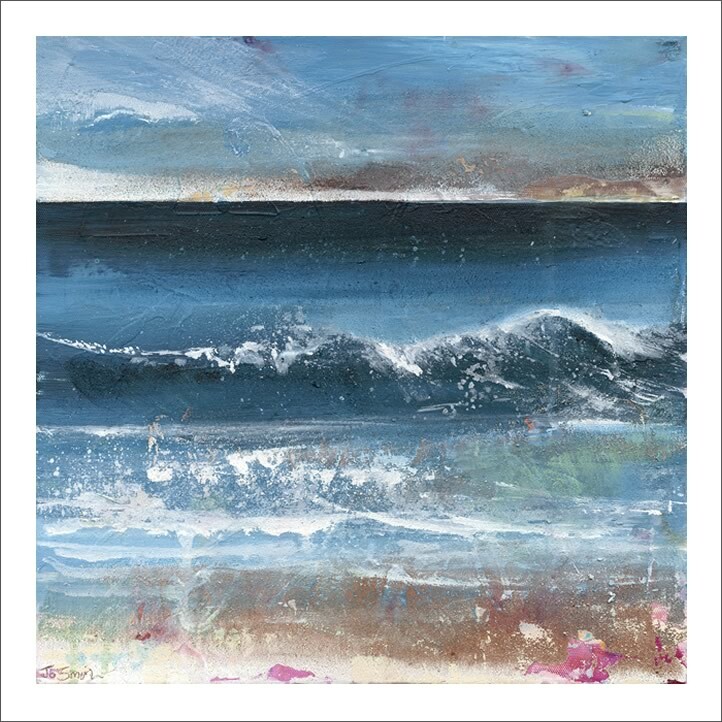 Jo Smith is a full time, mixed media artist who loves to paint predominantly land and seascapes. “My inspiration comes from the sense of connection I feel to the natural world and my place in it. I often incorporate earth or sand, collected on my walks, in to my work, which I mix into my paint or apply directly to the canvas. This gives richness and texture, rendering tactile memory of each place I visit. I take immense pride in creating uplifting images that enhance the mood of their environment and engage the viewer positively. As a result, my work hangs in many private and public collections including Arrowe Park Hospital, Heswall Golf Club, Aintree University Hospital and 4748 Business Centre, Hamilton Square, Birkenhead. I exhibit regularly in group shows throughout the country, have had several solo exhibitions and was selected to participate at the prestigious Chester Arts Fair at Chester Race Course.